London is our host city for this special three day event. IODE Members and guests are invited to attend all three days. 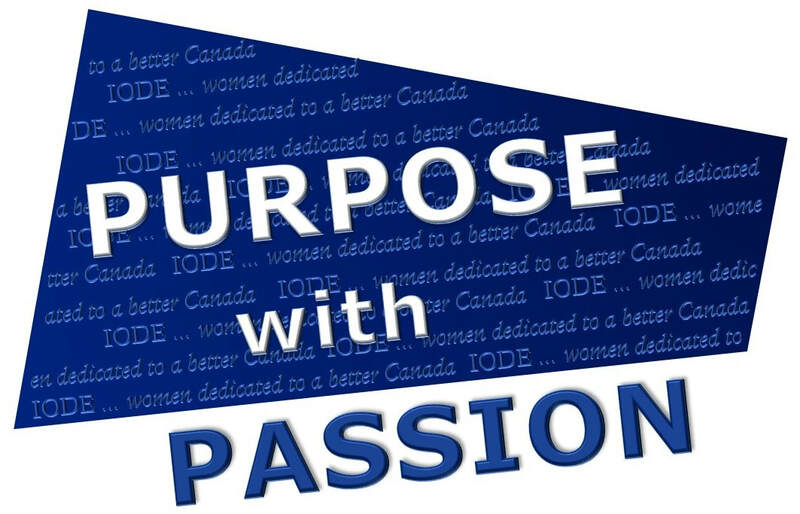 Purpose With Passion is the theme for the combined annual meetings of IODE Canada and IODE Ontario being held on 31 May to 02 June, 2018 in London, Ontario. After the success of the joint IODE British Columbia and IODE Canada meetings in 2017, IODE Ontario and IODE Canada are combining annual meetings for 2018. This structure provides opportunity for members to learn more about chapters in other provinces while attending the National meeting. The Ivey-Spencer Leadership Centre is the venue for the events, located in a park-like setting within the city of London, is renowned for its fully-equipped, positive environment for corporate meetings. The comfortable amphitheatre ensures perfect sight lines and acoustics. Well-appointed guest rooms on site have hotel quality amenities and free parking. This centre was the venue for the IODE Ontario Provincial Annual Meeting in 2017 and received rave reviews from participants, with the suggestion that they would like to return. A unique feature is the Nourishment Hub - an all-day grazing snack bar. London is known as the Forest City for its excellent and extensive park system. The Thames River winds its way through the city, providing a plethora of trails for walkers, runners and cyclists. The Arts community is well-established with theatres, galleries and boutiques about. The renowned University of Western Ontario, also located within the city, provides added weight to the variety of intellectual pursuits available. Its medical school, in cooperation with Victoria Hospital, continues its famous advances in health science research. A varied and informative agenda is planned. Friday 01 June, IODE Ontario will report on the work that has been done by its Strategic Planning Committee and announce its 100th Anniversary Project. Kelly Ziegner, CEO, Elgin Middlesex United Way, will be the speaker on Sat 02 June, to address the “London for All” initiative, and the topic “What does Poverty look like?” She will address some of the traditional assumptions about poverty and tell a few stories to allow members to deepen their understanding of poverty. One of the Early Bird Registration prizes to be won is a guest room package courtesy of the Ivey-Spencer Leadership Centre. For those travelling a distance, VIA Rail has offered a 10% discounted fare and WestJet has offered offer 10% off Econo and 15% off Plus base fares* for travel between London, Hamilton and Toronto and anywhere WestJet flies in North America for registrants. The Annual Meetings Convenors team of Jane Cushing, Shirley Ann Elms, Linda Gryner, Carol McCall and Renate Schuetz are working diligently to provide an interesting and informative experience for all. Hats off to the provincial team for arranging the registration prizes and Via Rail discount. Two evening dinners have been arranged. On Thursday, a casual dinner at Windermere Manor and on Friday an interactive dinner at Fanshawe College. This is YOUR annual meeting. 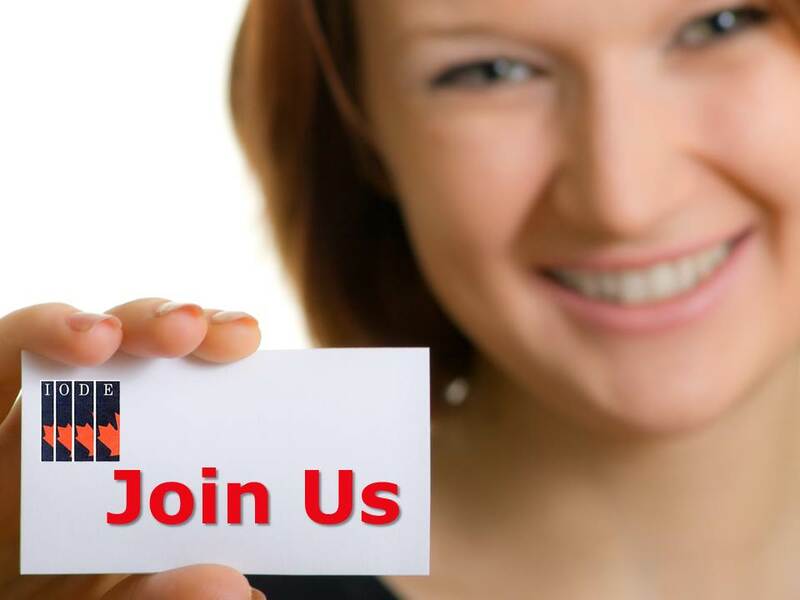 The time for you to share your ideas with fellow members across the country, voice suggestions, recommendations or concerns and seek answers to your questions. Meet the National and Provincial Officers and Convenors face-to-face. Learn about the administration of YOUR organization. Explore the possibility of an another level within IODE. Leadership positions are a real possibility. See how YOUR Purpose With Passion can make a difference. Plan to attend and be part of a memorable experience. Download the combined provisional agenda and registration form for complete details. Visit this web page for more information about our speakers and plenary sessions as we get closer to the meeting. before 30 April 2018 to receive the IODE rates. with a cheque payable to IODE Canada. WestJet is pleased to offer 10% off Econo and 15% off Plus base fares* for travel between London, Hamilton and Toronto and anywhere WestJet flies in North America for your travel plans. If you have questions about how to complete a booking with your discount codes, please check out the frequently asked questions. You can change or cancel reservations within 24 hours of booking at no charge. Further changes or cancellations can be made up to 2 hours prior to the flight; please note additional fees or charges may apply for each guest depending on fare class booked and differences in fare. Check out the service fees page for more information. A Rail is delighted to give a 10% off the best available fare in Economy, Economy Plus, Business, Business Plus, Sleeper class From all stations throughout the VIA system to London, Ontario and return. Discount does not apply in any Escape fares & Prestige Class. Fare applies to a maximum of two passengers per booking. One complimentary stopover allowed at no additional charge. Login to your profile, or create one prior to booking. On the Passenger information screen, select "Convention fare" from the “Discount Type” drop-down menu. Enter the discount code 13597. The conference fare will be shown on the next page. We invite you to experience the warmth and charm of simplistic elegance, in a captivating natural setting. 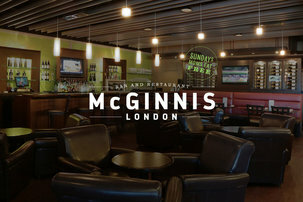 With delightful dishes of modern Canadian cuisine and exceptional service, our talented chefs and dedicated servers look forward to entertaining you as our guest. Join us for an interactive culinary experience at the Saffron Restaurant highlighting Fanshawe College's one-of-a-kind Artisanal Culinary Arts program. At the salad and entree food stations, guests can participate in the preparation of their meal. Dinner is at 6 and the cost, with bus transportation, is $55 all inclusive. There will be a cash bar. It promises to be a fun and interesting evening. Bon appetite! 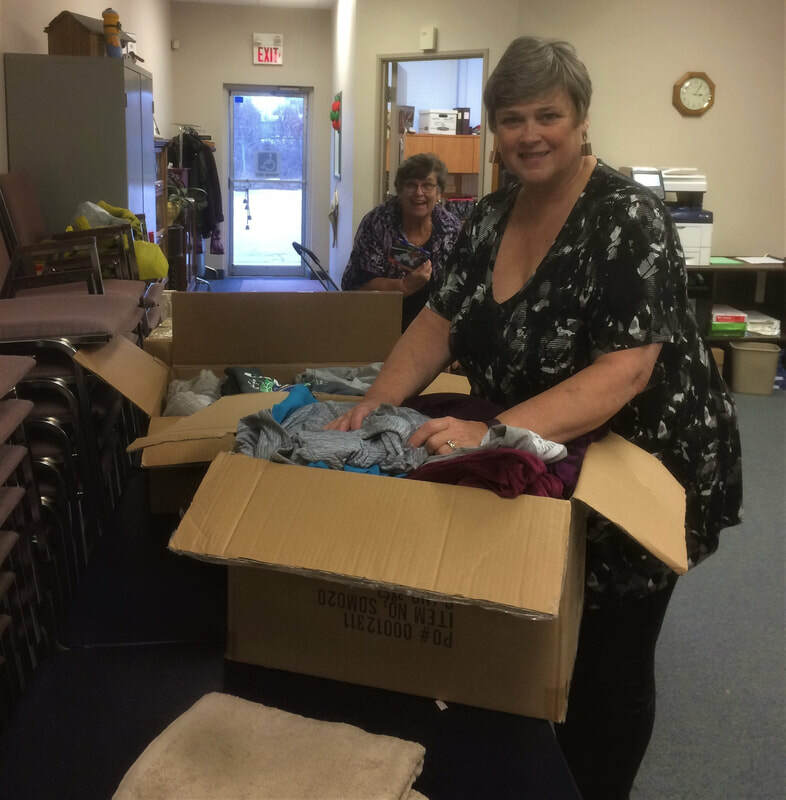 The IODE Ontario Services department is very grateful to the member who regularly and lovingly pack boxes explicitly for the centres and schools in our northern communities. The National Services Fund covers the cost of National and Provincial shipments to Northern Canada and Labrador, equipment and supplies for schools and community halls in Northern Canada and, if possible, any special requests from the Northwest Territories and Nunavut. Members are invited to participate in this special fundraiser held annually at the National Annual Meeting. Please pack a book or two suitable for young readers ages 0 to 6 years. All books donated will be presented to a local children's centre. 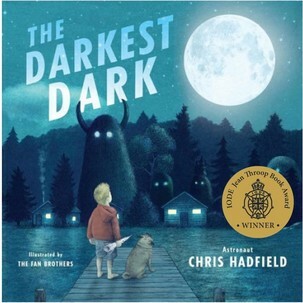 Share a Story … Bring a Book has been a wonderful success in recent years, one we hope can be repeated. This will be our 9th consecutive year and each year it has continued to grow. For book ideas, consider donating books that have received the IODE Jean Throop Book Award. Enjoy browsing the book stores and bring your books to London in May. Book donations can also be sent directly to IODE Canada.